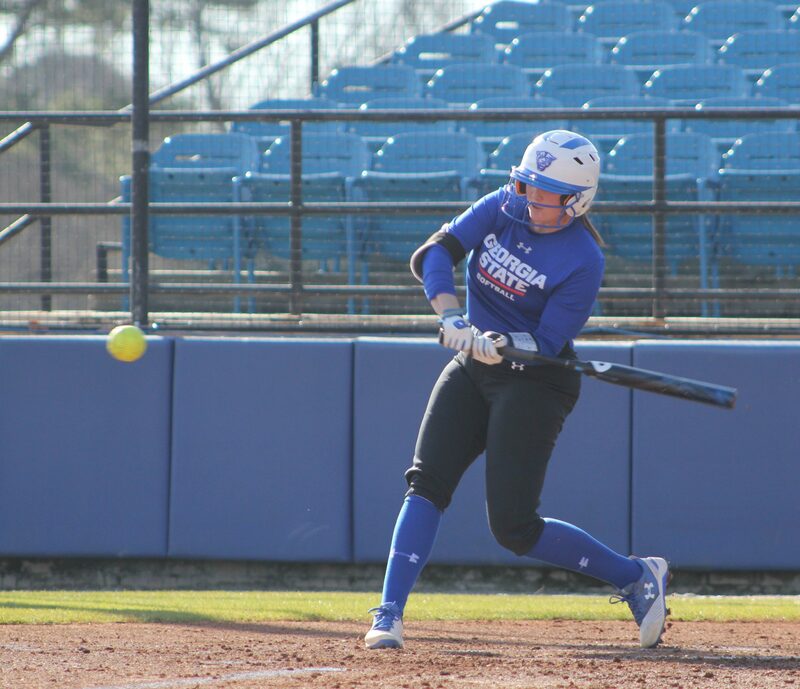 The Georgia State softball team has only six seniors on this year’s team, so younger players will see a lot of playing time this season. Their performance will largely determine how successful the Panthers will be. The team will be without Megan Litumbe and Ivie Drake, two of the top players in Georgia State softball history. They were two power hitters who could bash the ball out of the park at any at-bat. Now the team will have to play small ball and use its speed to manufacture runs. Morgan along with fellow seniors Mandy Chance, Remington Hasty, Kristin Hawkins and Arden Jobe are the seniors in charge of leading the pack. Sophomore Skylar Mosel burst into the scene last year as a freshman hitting .300 with seven home runs and 25 RBIs. She made second team All-Sun Belt last season. Mosel may not be one of the captains on the team, but she will surely be one of the best players and take on an extended role offensively and defensively. Hawkins was named to the preseason All-Sun Belt Conference team, and she was the only player on the team to get the nod. Last season she batted .308 during conference play while hitting five doubles, one triple and two home runs. Defensively, she had a fielding percentage of .1000 and two putouts. The Panthers will kick off their season with a five-game set in Hawaii. The team will play five games in three days against St. Mary’s College, Hawaii, Texas-Arlington, Fresno State and UCLA. The matchup against Texas-Arlington is a Sun Belt matchup, but not during conference play. It’s something that head coach Roger Kincaid would have avoided if he could have, but it would require playing one of the other teams twice. Trips like this shows the trust that the University has in Kincaid and the program because a lot of schools don’t allow such trips. But these trips don’t happen often. Patrick Murphy, Alabama softball head coach and friend of Kincaid, suggested that he take the trip. Kincaid looked into the option and signed the Panthers up for the tournament. During her junior season, Chance pitched in 35 games, logging 128.2 innings with an era of 3.70. Kinsley Jennings, the other starter from last season, graduated, so Chance has the most innings pitched of anyone on the roster. Joining her in the rotation will be redshirt sophomore Emily Soles who appeared in 12 games last season before getting injured. Mallory Parsons will also be pitching for the Panthers this season. Parsons was on the team last year but did not pitch much. The coaching staff is excited about her improvement this offseason. Transfer Savannah Freeman and freshman Holly Phillips will round out the rotation. Kincaid has been the head coach of Georgia State softball for seven seasons now, and in each one he has won at least 30 games. He is looking to lead the current group of Panthers to another 30-win season with a very young team. For Kincaid, winning 30 games per year has become an expectation, and somewhat of a minimum for the team. He made it very clear that his goal is to win a Sun Belt Conference championship.